Why choose the CU Blog Service (CampusPress)? 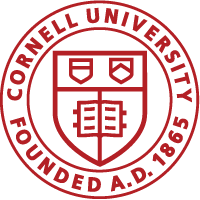 Many web accessible themes are available, including some designed to meet Cornell identity guidelines. If a new custom theme is needed, the Custom Web Development team can be contracted to develop one. The CU Blogs service should not be used to store confidential data as defined by Cornell Policy 5.10. The service is hosted and supported externally by our vendor CampusPress. Service up-time is the responsibility of CampusPress. Periodically the vendor makes changes to the environment and is not always able to provide advanced notice and communications. At times the vendor may also need to remove a plugin from the service which could impact your sites. Contact cublogs@cornell.edu with questions. Contact Custom Web Development to discuss other solutions.